Justice is blind, so she needs our guidance. Our firm is devoted solely to resolving business disputes through first-class legal work and discerning business judgment. When representing defendants, we zealously pursue defense verdicts or strategic settlements that allow our clients to focus on building their businesses without distraction. When representing plaintiffs, we identify precisely how our clients' rights have been harmed, and aggressively pursue appropriate remedies. We routinely and successfully take on larger opponents by devising and executing litigation strategies that achieve results without wasteful legal maneuvers that are all-too-common in civil lawsuits. You hate to say to a litigator that "I look forward to do working with you in the future"; however, the next tight spot we get in, you will be the first person we will call." Jerry Bramlett, President and CEO, Next Step Defined Benefit, Inc.
We stay on top of changes in the law which enables us to be more responsive and effective in representing our clients' interests. We continually strive to exceed the expectations of our clients." We are committed to providing stellar client service and our people set us apart from other firms. 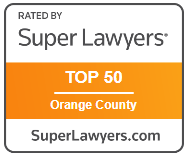 Stephens Friedland LLP's lawyers and staff understand and are dedicated to pursuing the needs of our clients." Your firm has a reputation for acting professionally, and being fine lawyers. That was our experience as well. You have a lot of respect out there." Mike Foster, Condor Seal Inc.
We pride ourselves on helping our clients understand the litigation process and having a plan in place to help our clients achieve their goals. We also strive to provide outstanding value to our clients in the legal services that we provide to them." 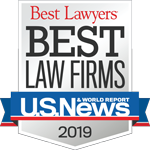 When our business was suddenly separated from its largest income stream, the lawyers at Stephens Friedland LLP developed an innovative plan to address regulatory and business issues, and turned around a seemingly impossible situation." We align our litigation strategy with the client's interests and objectives." Our philosophy is to win cases and achieve exceptional results for clients that will cause them to come back to us again and again. We have an experienced group of lawyers trained at prestigious law firms who efficiently focus on the issues that matter to the outcome of the case."